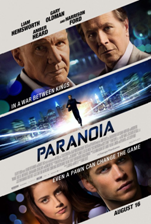 Paranoia (mixed bag): This hi-tech summer flick is just that: something flashy that tries to be exciting and innovative but misses the mark. Liam Hemsworth has the makings of a movie star, while Gary Oldman and Harrison Ford aren’t trying anymore. 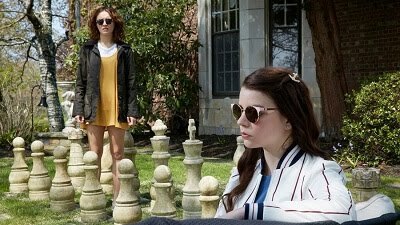 A decent popcorn film but far from anything original. Now playing in wide release. Read my review from yesterday. 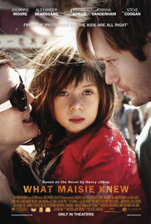 What Maisie Knew (recommended): This emotional story of a young girl whose divorced parents spend so much time fighting and putting each other down that they ignore her is a hard-hitting and powerful tale, with great performances all around and a sunny resolve despite its disheartening premise. Enjoy recommendations below for two great films that have been available before but are well worth it if you haven’t seen them yet! Donnie Darko (highly recommended): This classic 2001 film is nearly impossible to describe, featuring a teenager who interacts with an imaginary man in a bunny suit. Put simply, it’s a complete unique and creative vision of the universe that’s entirely peculiar and absolutely fascinating. 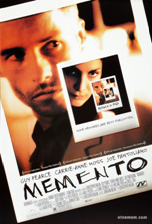 Memento (highly recommended): Christopher Nolan may be on top now for “The Dark Night Rises,” but his second feature film is probably his best. The carefully-plotted, out-of-order tale of a man whose memory is falling apart is absolutely exceptional, and while its content is not for the faint of heart, it’s among the best-edited thrillers ever made.